As we start the new year we enter into a unique opportunity to buy gold as it is beginning to show various signs of recovery from the recent correction during the final months of 2011. We are happy to inform you that over the past 30 days gold price has gone up by 10%! To encourage our investors and support the trend we have reduced our purchase commission from 1.2% to 0.8%. 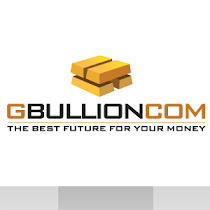 Now you can buy physical gold at spot price + 0.8% only! Over the past 3 years there has been at least 3 other times when the price of gold has corrected itself in such a drastic manner. Each time though, the recovery took the metal to new record highs: with 10-20% drops followed by 50-85% increases. What will be the magnitude of this current recovery will only be determined by the market however, what can be said confidently (and with consensus) is that gold will recover as it does time and time again. Barclays Capital thinks gold should trade as high as $2200 an ounce in 2012 with the three pivotal watch factors for gold remain intact. "First, central-bank buying continues and with new interest emerging; second, uncertainty continues to surround the financial markets and sovereign debt; and finally, growth in investment demand is occurring despite price corrections." The idea that gold will comfortably surpass the $2000/oz. point in 2012 is not only shared by these three financial service powerhouse but also much of the financial establishment in the world. The only question a savvy-investor should ask is how to participate in the recovery. In this sense, it is ‘vaulted gold’ or in other words, physical quantities of gold that is bought online and stored, insured and appraised in highly secure vaults. This is where www.gbullion.com comes in.